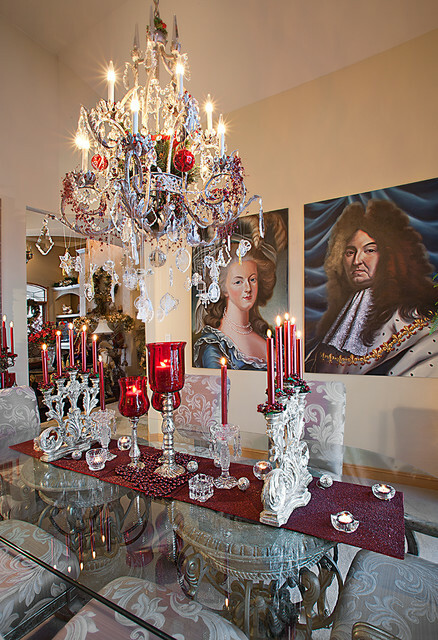 Fun Formal Dining Room decorated for Christmas. I love everything except pic n the wall. I would change this aspect of the dining room.